Once you have built the perfect outdoor space using high-quality timber decking, you’ll want to ensure that it lasts as long as possible. To protect your outdoor timber surfaces the best thing you can do it to use a high-quality oil-based preservative for wood. It is also recommended that you use a preservative that has built-in UV inhibitors. This makes your decking last a lot longer and stays looking new for a long time. Oils are not like paint and penetrate the wood deeply to protect it from moisture throughout the timber. It eventually evaporated out of the pores and leaves it then unprotected. Because of this, it is important that your recoat the decking beams every 12 to 18 months. When you oil horizontal surfaces the fluid can easily puddle and collect in scuffs and grooves and then be transferred onto your feet, shoes, furniture and pets etc. To avoid the puddling effect of too much oil, only use as much preservative as you need to cover and soak the planks without them puddling and becoming too wet. 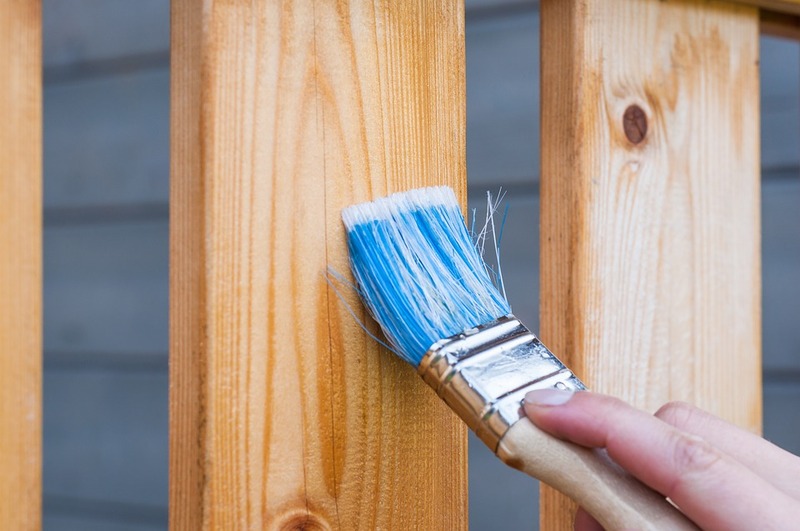 Use back-brushing to help force the oil into the timber decking and never use a nylon brush with anything oil-based. Use equal parts of mineral spirits and linseed oil and add the pigment to your desired strength. Then add in the mildicide as if it was being added to an equal volume of paint.